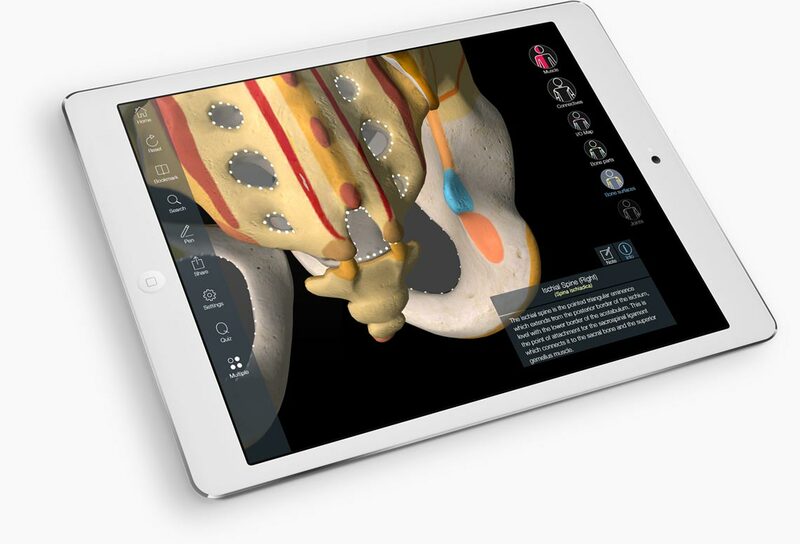 The Essential Muscle + Skeleton Anatomy app contains the same ground-breaking technology as the Essential Anatomy app. 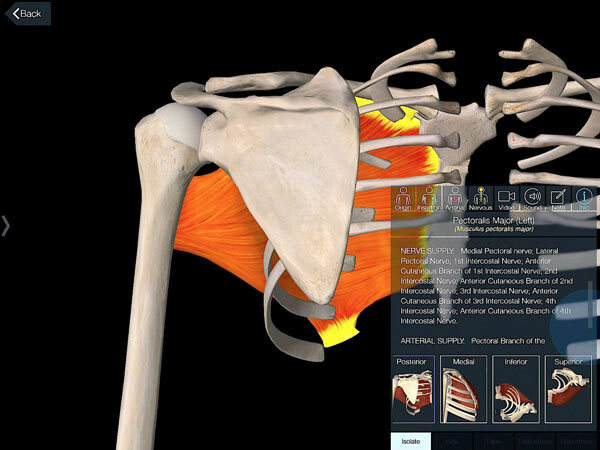 An in-depth training tool for learning and understanding of the Muscle System and the Skeletal System. Identify and isolate any muscle. Identify 2,159 Bone Parts and Bone surfaces. Visualize 1,473 Insertion & Origin points. See the innervation and blood supply for every muscle. Animations for every movement of each articulation. 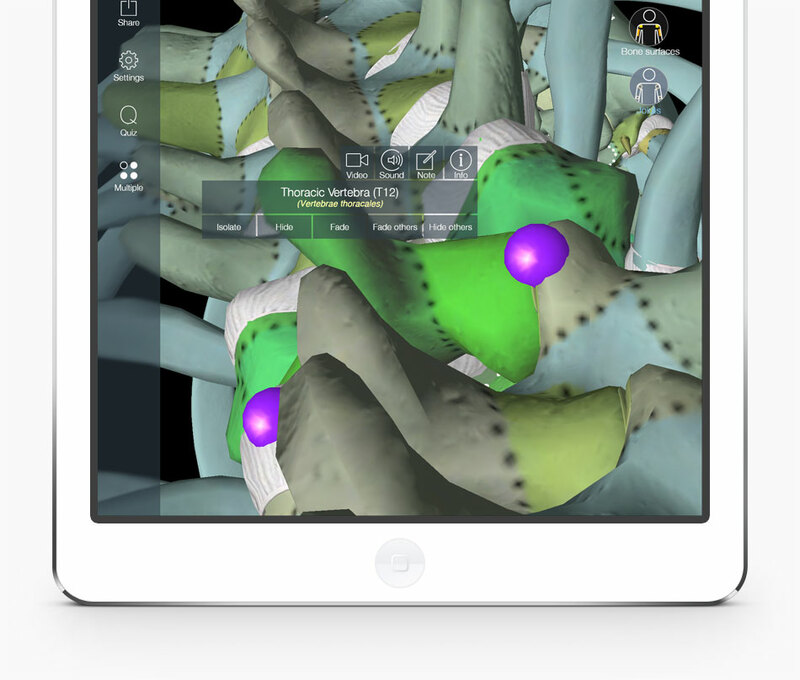 We believe this to be the definitive digital reference tool for the muscular and skeletal systems. 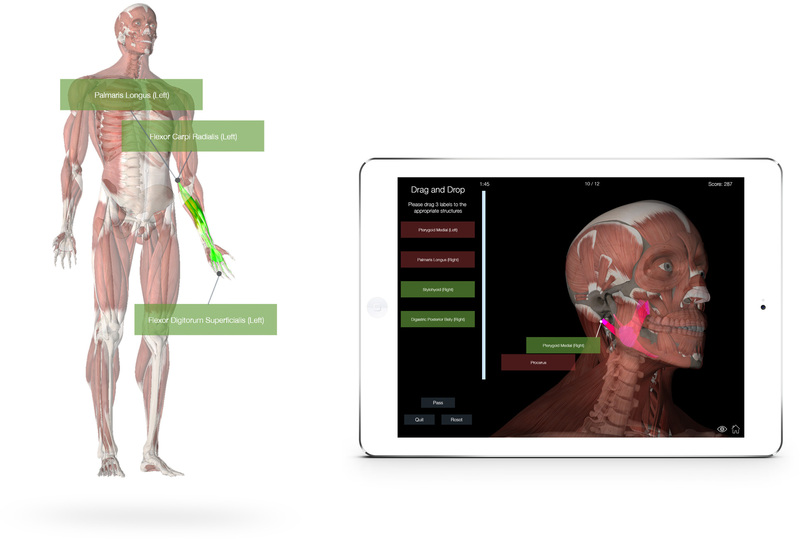 The Essential Muscle + Skeleton Anatomy app contains body systems that can be turned on and off. The user can isolate individual structures for a detailed description or whole regions using the breadcrumb trail. Favorite views can be saved using the Bookmark feature or annotated and shared. Finally the Quiz feature allows the user to test themselves on their newly acquired knowledge. 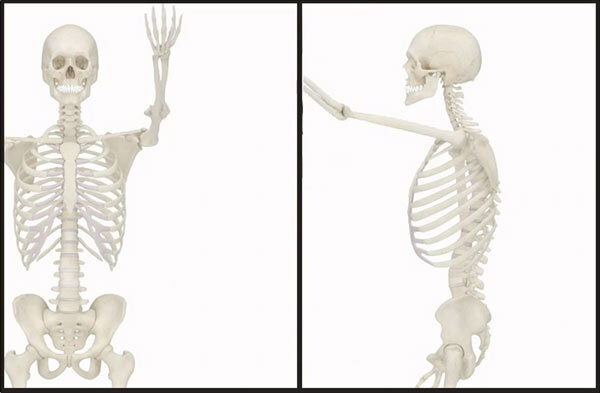 The skeletal system has the added feature of being able to be “painted” with different information. The user can select Insertion & Origin Points which displays 1,473 individually labeled points. 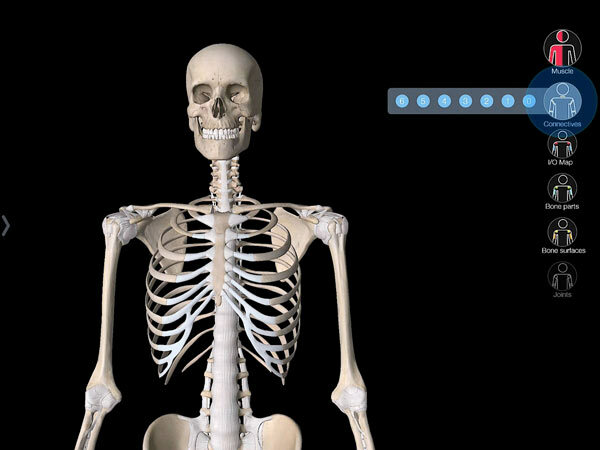 There are 2,159 labeled Bone Parts and Bone Surfaces. The Bone Parts explain the structure of the bones and the Bone Surfaces the various landmarks on the bones’ surfaces. 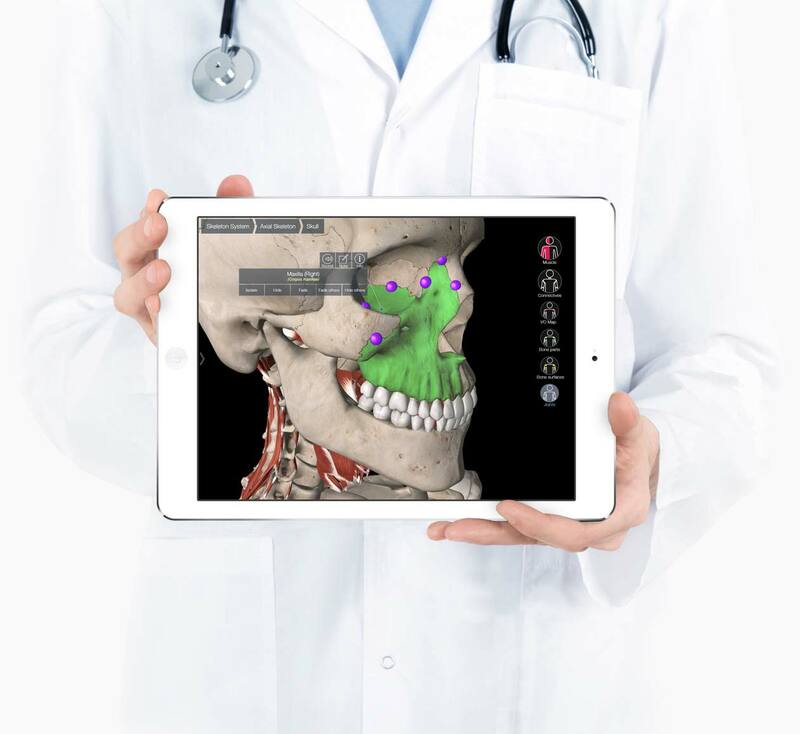 Every bone, bone part, bone surface, connective tissue, muscle, insertion and origin point can be selected to access a name, description and audio pronunciation. 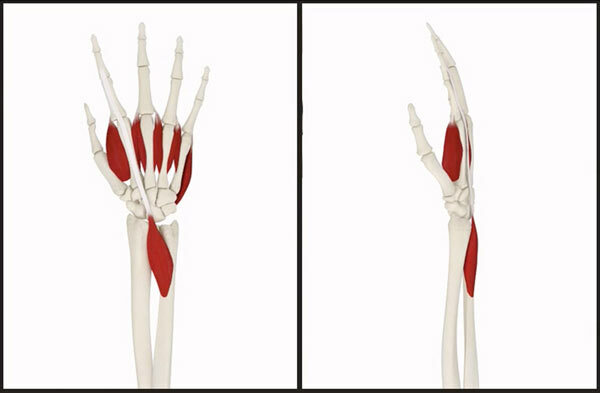 In the case of the muscles this also includes the addition of the nerves and vessels responsible for innervation, blood supply and muscle movement animations. An excellent addition for anyone interested in musculoskeletal movement. 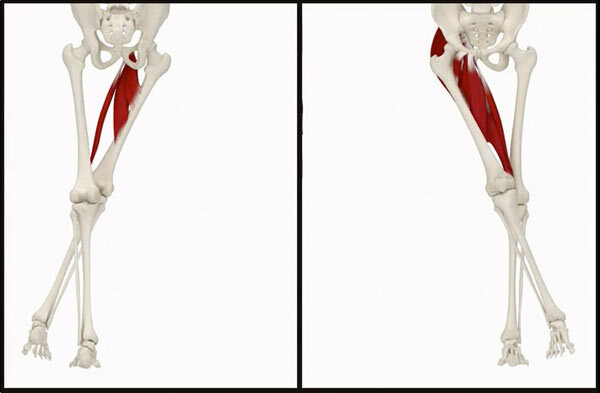 Over 300 animations are used to highlight the movement of every articulation and every muscle. 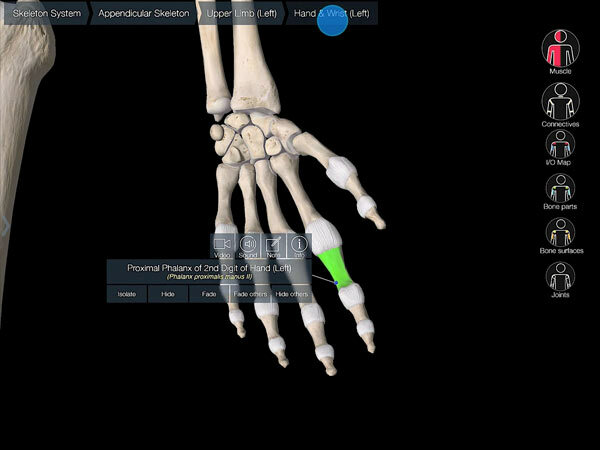 Once a bone has been selected the Joints feature becomes available. This feature highlights the articulations associated with that bone. Purple spheres are used to illustrate the articulation areas and when pressed they offer labels, descriptions and animations. 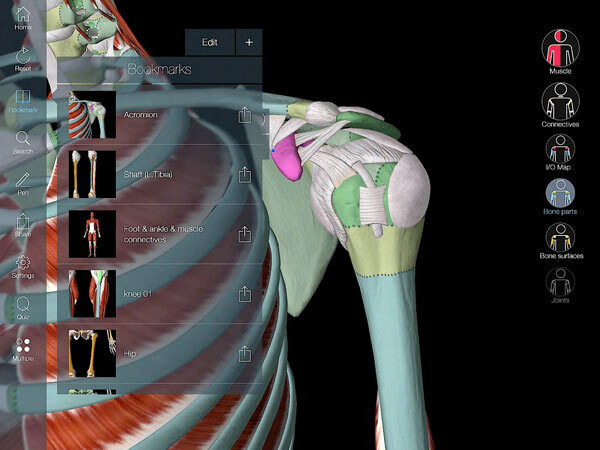 Essential Muscle + Skeleton Anatomy allows users to test their knowledge with its unique functionality, choose between Drag & Drop and Multiple Choice. 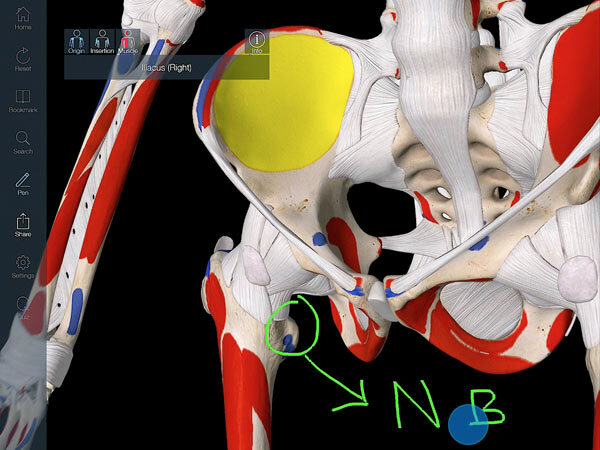 Users can even refine the quiz on the basis of regional anatomy.